At the end of March, i-Docs 2014 took place and although I documented the event through Storify, it’s been a struggle to pull together my key takeaways as Hot Docs, Webdox, i_doc Workshop and TFI Interactive seemed to continue so many of the themes and expand upon them in interesting ways. So this has now become a much longer, two-part list of take-aways, full of great examples and worthwhile links – enjoy! As more interactive documentaries are produced and the field develops, reaching an all encompassing definition that remains applicable may well be impossible, as Charlotte Crofts tweeted: “Crisis of endless modulation of platforms & selection criteria / gatekeeping as interactive documentary production escalates”. What this panel also allowed for was a direct discussion between interactive documentary producers and the academics working with the field, as producer Elaine McMillion-Sheldon and Bjarke Myrthu joined the discussion. Profile: William Uricchio of MIT’s Open Documentary Lab from Submarine Channel on Vimeo. But beyond defining the burgeoning genre, there’s also the task of examining the language associated with it. Again MIT have started to analyse this with the Moments of Innovation project, examining the historical derivatives and meaning behind these contemporary buzzwords. The work and research the MIT Open Doc Lab are doing, particularly with the _docubase is invaluable – even if the genre outgrows the medium, the process of documentation must start somewhere and with a medium that is at home online, surely the catalogue of work should be situated there too. Curating the work with members of the community then allows another layer of dialogue to flourish and hopefully allows new and exciting work to break through. – Nonny de la Peña, creator of “Use of Force”. You can read more quotes like this in the highlights article from Indiewire: 8 Smart Things Things Said at Tribeca Innovation Week About The Future of Film, Technology and Storytelling. If you haven’t used the Docubase yet, it’s a great way to access a huge variety of interactive documentaries – perfect for research, inspiration and of course, new experiences. Also check out the playlists, including these ones from Sandra Gaudenzi: The Living Documentary and Mandy Rose: Documentary as Co-Creation. User engagement, as ever, is at the forefront of discussion within the field of interactive documentary. How are these new forms being received by the audience? How do you measure engagement? Kate Nash, co-editor of the recently released New Documentary Ecologies, presented an illuminating keynote focusing on audience engagement with some big hitters from the interactive documentary field, including Bear 71 and Asylum: Exit Australia. Whereas audience engagement has obviously been measured in traditional documentary before, the possibilities that analytics and user behaviour programmes can offer interactive documentary makers adds a whole new dimension, the value of which is hard to define yet. Yes, you can state that users stayed with an i-doc for x amount of time or clicked on x amount of things, but what does this actually mean for engagement? As Kate states in that previous quote, some users experienced an i-doc in a mostly non-interactive ‘lean-back’ way, yet were deeply engaged with the content – as a maker, breaking down your pre-conceived ideas of how your audience should respond is an important step in interactive documentary. This also relates to your expectations beyond the documentary experience – will you ask your users to share their experiences? Is there a call to action on social media? Again, the studies Kate has done so far provide some interesting answers, perhaps most notably one participant stated that being asked to share experiences on Facebook was the digital equivalent of being asked to talk about politics at the dinner table. Your users expectations in an interactive documentary environment mean that audiences can be disappointed. They also have expectations of what a documentary should be. Give people a sense of time – let them know how long it’s going to be otherwise they may just drop out early. Kate penned this piece for the LSE Impact blog, another must-read: Clicking on the real: telling stories and engaging audiences through interactive documentaries. From Quipu to Question Bridge, the topic of participatory documentary remains at the forefront of i-Docs. The contexts of interactivity and of the online network bring new dimensions to the ethical questions that have always been present in documentary about the relationship between the producer/director and the subjects. In the case of both Hollow and Quipu, participatory material was a significant output within their final projects. The presentations from both these projects resonated with the audience. Chaka’s Quipu project raised the poignant issue of how to cross the digital divide and collect stories that are both hard to tell and heartbreaking to listen to. Elaine’s tales of producing Hollow raised similar issues; how to engage a community, what developmental workshops can most benefit them, what do you do with the all the footage. The care and attention that went into both projects is admirable and I think this is what contributes to the overall delicacy within the final output. 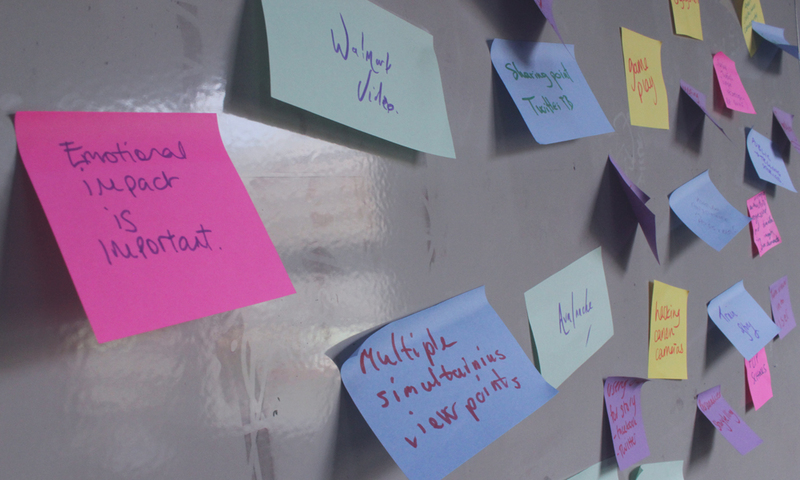 Once the work is online, the question then becomes how do you then encourage participation? With the imminent launch of Question Bridge interactive, Hank informed us that the platform would not allow for anonymity. For the online portion of the project to work successfully, people had to engage and be visible – not hide behind a digital persona. This transparency and openness will hopefully lead to an ongoing discussion and input that is as frank and open as the interviews Frank and his collaborators conducted for Question Bridge. You can experience Question Bridge: Interactive now! It’s still in beta, but an incredible project that’s worth your time. Also, Hanks talk will be online in the near future, as well as an interview from Mandy Rose about the launch of Question Bridge interactive. There’s also a great interview about UX and storytelling with Hollow’s UX designer Jeff Soyk from the MIT Open Doc Lab, available here for your reading pleasure. Call it what you will, but live experiences at i-Docs definitely changed the atmosphere and it was great to see both Door into the Dark and Choose your own Documentary so well received. As William mentioned in his keynote as he discussed Sam Green’s live documentary performances: this is not a new thing. He linked Green’s performance in particular to Burton Holmes Travelogues of the late 20th century. His point being, these live/performative documentaries appear new and exciting, but still in fact work off practiced and honed formats. Despite the fact these forms are an evolution, as opposed to an invention, the technology that is now able to augment these experiences certainly adds a new dimension and for me, it is exciting to see documentary being used in this way. Following i-Docs, CYOD headed to New York for a week of performances at the Tribeca Film Festival. Forming part of the Storyscapes program, which celebrates new trends in digital media, CYOD joined other exciting projects including CLOUDS, the NFB’s latest offering, Circa 1948 and Nonny de la Peña’s ‘Use of Force’. Door into the Dark will also be joining Blast Theory and Nonny de la Peña at Sheffield Docfest as part of their interactive programme. Read about the projects here. Use of Force’s Nonny de la Peña on Pushing Journalism into the Interactive Realm – which includes the brilliant picture of Robert De Niro in 3D goggles. Two questions that really stuck out for me during the conference were ‘How much did the project cost?’ and ‘How was it funded?’ with a call for a potential future track to be specifically dedicated to funding. I think this is a difficult point to move forwards on, particularly as the interactive documentary industry is still so young and these projects can often just form part of an output from a larger company or older industry. The other issue is this is not a ‘one size fits all’ answer – what works for one producer on a particular project, may not be viable or sustainable for another. What is potentially the most valuable outcome of these discussions is maintaining this openness within the growing community. This is where I hope this site, our ever-growing Facebook group and initiatives such as Mary Mitchell’s recently created Google+ group can help. Seeing as it’s such a hot topic, I will personally ensure i’m asking these questions during interviews (whether they answer is up to them, The Love Radio team were happy to discuss it). It may also be interesting to analyse alternative funding schemes such as crowdfunding, with documentaries like Hollow, Question Bridge Interactive and Clouds all receiving their funds this way. However, what happens when the money runs out? Web native projects rely on constant sources of funding, far beyond their release with hosting costs and tech maintenance. No magical answers to funding i’m afraid, but the deadline for the TFI New Media Fund just passed. Previous grantees include 18 Days in Egypt, Alma: A Tale of Violence and Hollow. Congratulations if your project receives funding, if you missed out – cement the date in your diary for next year. There’s also Power to the Pixel’s Pixel Market, which seeks to fund cross media projects. Deadline 10 July, find out more here. Finally Filmteractive, who are partnered with Cross Video Days also have out this call for projects. Deadline 30 May. There’s plenty of other funding opportunities out there, being aware of deadlines is key, keep up to date with this curated list from POV of New Media funding resources which is definitely worth a bookmark. Offshore was a nominee for a Webby award within the activism category. Although Change.org won the title, it’s promising to see interactive documentaries recognised within these mainstream arenas. They will also be screening Offshore at Sheffield Doc Fest. Ramona Pringle‘s project Avatar Secrets was the first interactive documentary to be included in the Hot Docs programme, with a large scale installation in the main lobby, which you can read more about in this interview. She also managed to present the work at TFI Interactive. The Guardian released The Shirt on your Back, the latest interactive offering from the team which brought you Firestorm and the NSA Files (which also picked up a Webby). 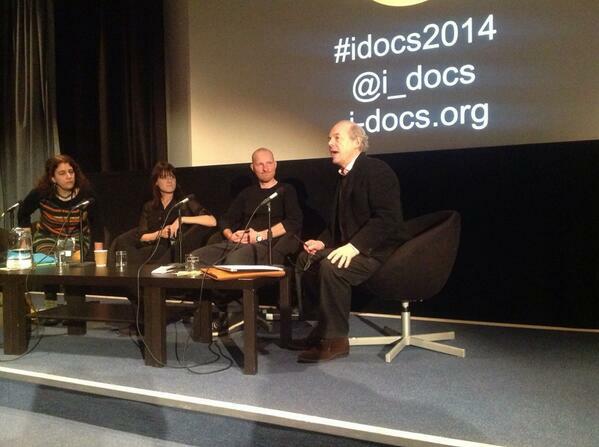 Francesca Panetta discussed the making of this at i-Docs and this will be online in the future. Jeannie Finlay‘s linear documentary Orion: The Man Who Would Be King received more than the required funding on Indiegogo. The interactive part of the project I Am Orion was presented at i-Docs as part of the Collaboration Models panel. 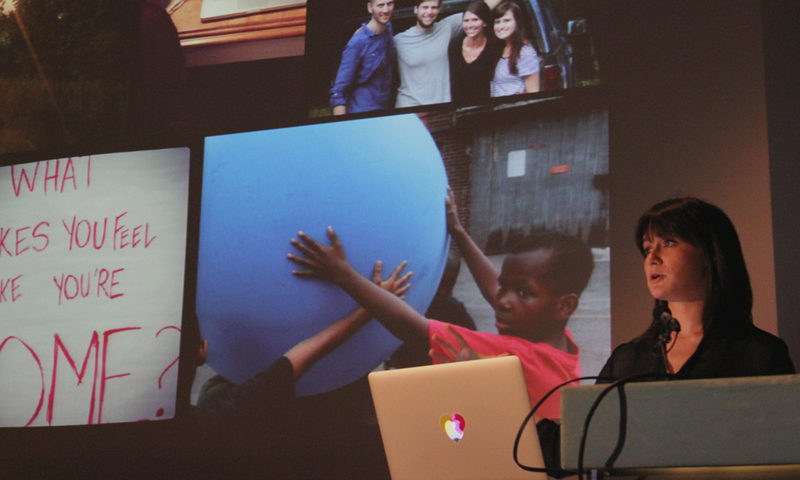 It doesn’t finish here, Webdox was last week – where Sandra Gaudenzi presented the Introduction: State of the art of interactive web documentaries and journalism in a digital age – data analysis, impact measurement & community versus audience – check out what happened on Twitter: #WEBDOX. Cross Video Days runs from the 19-20 of June and should be good to follow. 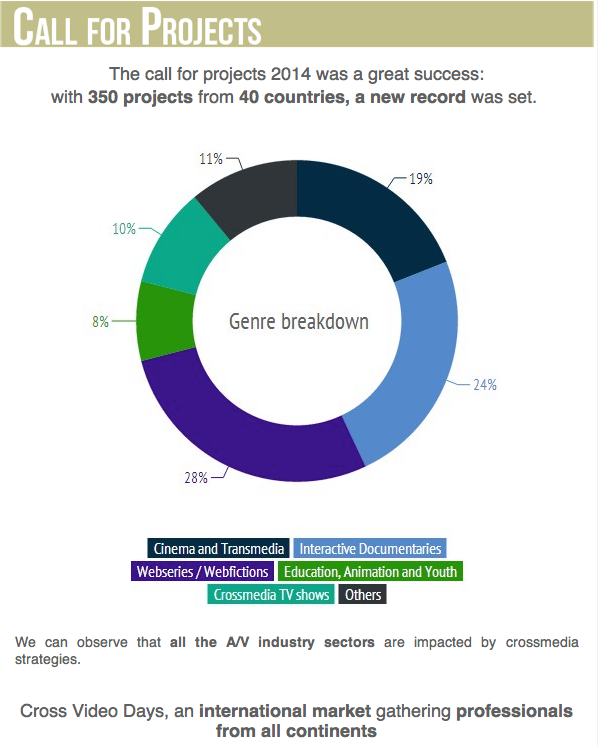 Transmedia Week posted this infographic showing the call for projects breakdown, 350 projects from 40 countries with a significant chunk of interactive documentaries! Sheffield Doc Fest to look forward to! They released their full programme at the end of last week, Indiewire have published a rundown of 15 “boundary pushing” interactive documentaries that will be shown there. You can see the full list of interactive sessions here and a list of the i-docs featured in their interactive exhibition here.